As an avid knitter the only thing more exciting than receiving a box of yarn in the mail is receiving a box of yarn that has label I designed. 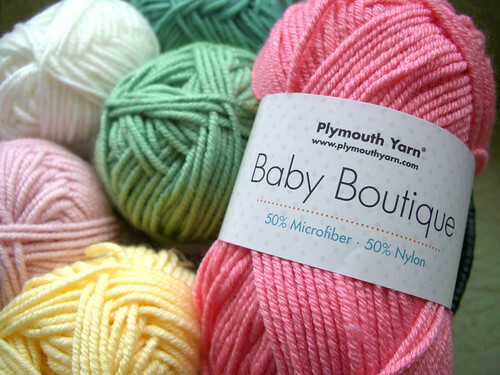 Project: To create a label for a new baby yarn that showed both youth and quality. The label needed to speak for itself much like various other products that are on store shelves. Yarn has a slight advantage because it isn't sold in big, badly lit warehouses but rather small boutique stores. Consumers can ask a store clerk their opinion, potentially see knitted samples and be inspired by patterns. The yarn needs to appeal on touch and feel and also quality and value. Touch and feel are not factors I can change but the intangible ideas can be conveyed through the design of the label. Let's hope knitters like it!